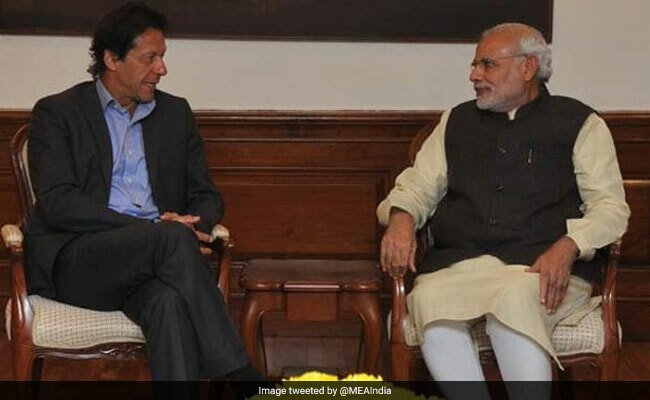 Imran Khan Writes To PM Modi: "Pak Remains Ready To Discuss Terrorism"
Pakistan Prime Minister Imran Khan has written to Prime Minister Narendra Modi asking that India and Pakistan resume dialogue that has been suspended since 2015. In the letter addressing the PM as "Modi Sahab", Imran Khan also suggests a meeting between the foreign ministers of the two countries. Pakistan "remains ready" to discuss terrorism, the new Pakistan prime minister wrote. Referring to PM Modi's letter after he was sworn in last month, Imran Khan said he endorsed his sentiment that the only way forward for the two nations "lies in constructive engagement". In his victory speech, the cricketer turned politician had said that Pakistan would respond with two steps if India took one. Government sources have told NDTV that resumption of dialogue is not on the cards. "Talks and terror can't go together," they say, reasserting New Delhi's stand. However, a meeting between the foreign ministers on the sidelines of the UN General Assembly next week is not ruled out. This is the second outreach by Imran Khan, who is perceived as a man close to the Pakistan army and whose campaign speeches were full of anti-India rhetoric. 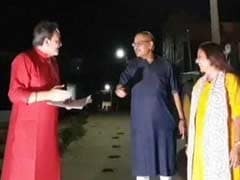 The letter is dated September 14 but its details have emerged a day after a soldier's throat was slit by Pakistani troops at the International Border, after which the Border Security Force lodged a strong protest with the Pakistan Rangers. "Pakistan and India have an undeniably challenging relationship. We, however, owe it to our peoples, especially the future generations, to peacefully resolve all outstanding issues, including the Jammu and Kashmir dispute, to bridge differences and achieve a mutually beneficial outcome," said Mr Khan. He added that Siachen and Sir Creek also needed close attention to move towards a resolution. "Building on the mutual desire for peace between our two countries, I wish to propose a meeting between Foreign Minister Makhdoom Shah Mahmood Qureshi and External Affairs Minister Sushma Swaraj, before the informal meeting of the SAARC foreign ministers at the sidelines of the upcoming UN General Assembly in New York," Imran Khan wrote. They could explore the way forward, he said, adding that the SAARC Summit in Islamabad "will offer and opportunity for you to visit Pakistan and for us to re-start the stalled dialogue process," Mr Khan said in the letter to PM Modi. Hostilities between the two countries escalated with a series of attacks, especially the terror attack on an army camp in Uri that left 19 soldiers dead. India later launched surgical strikes across the line of control to target Pakistani terror camps.